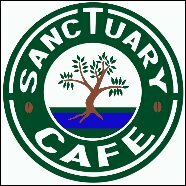 Sanctuary Café is a community café open Monday to Saturday each week the venue for which is the hall of Lymm United Reformed Church. Though open to all, it has proved particularly popular with young mums and toddlers. It is staffed by volunteers from the different Lymm churches.